Twitter is a social networking site with more than 200 million users. It is an interesting and entertaining social platform to meet new people, to get breaking news from all over the world and to cope up with top trends. Not only this but you will also get access to many celebrity accounts and can approach famous company contacts. With Twitter, you can follow your friends, celebrities, and other interesting people. You can tweet from your account like a Facebook status, like and retweet other people tweets also. Twitter has become more popular over the last few years and more people seem to enjoy using it. If you are also a twitter lover and use it on daily basis but doesn’t have a good internet package, Zong has come up with an amazing social offer for its prepaid users. The package provides you with data Mbs to use unlimited twitter for a whole day at most affordable rates. All essential details of the offer are given below. You can activate the amazing twitter only offer by dialing the subscription code: *6464#. Customers will receive a confirmation message after successful subscription. You can activate the package as many times as you want. If you are a frequent Twitter user and don’t want to pay much then you can avail the twitter only offer at the lowest rate of just Rs 2 excluding tax. What are Incentives of Offer?? By activating the twitter only offer you will be provided with 20 Mbs of free mobile data. The provided Mbs will only be valid for the use of Twitter. How to Check Remaining Mbs?? You can check the remaining Mbs of your Twitter only package by dialing *102#. The charges for checking data usage are 10 paise per inquiry. What are Term & Conditions?? Zong twitter only offer is only for the prepaid internet users. You can only avail the package for twitter. The Twitter only package will remain valid for 1 day and will expire at midnight. The offer is only valid for 3G and 4G users of Zong. If you use the internet without any bundle standard charges will apply. If you love using Twitter and need a special internet package for your needs then Zong twitter only package is definitely for you. 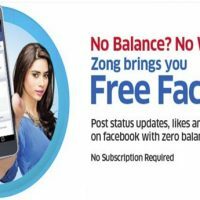 Start using unlimited twitter now with Zong unique social package at the lowest price ever. Wait no more and subscribe to the Twitter-only package now. 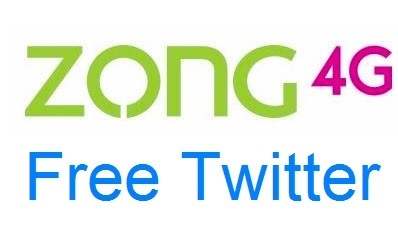 Question: How to Activate Zong Twitter Package? Answer: Zong Twitter Package can be activated by dialing *6464#. Question: Can Facebook also use with this Package? Answer: No only Twitter will be allowed for free of cost. Question: How to check remaining MBs in Free Twitter 3g and 4g internet package? Answer: Dial *102# to check remaining MBs. Question: Can postpaid customer enjoy this service? Answer: No this package is introduced by the Zong only for prepaid customers. Postpaid customer can subscribe other packages. Question: Is there any tax? Answer: Yes 14% withholding tax will be charged on the time of subscription along with sales tax.